There are so many physical traits such as your eyes, nose, mouth, and face that make you unique. It’s often said that the first thing people notice about you is your eyes but every physical trait defines the type of person you are. There are many types of noses but the shape of your nose falls into one of these 8 shapes and says a lot about your personality. Also, we should love everything about ourselves even if we wish our nose was smaller, or bigger, or thinner. Every physical trait you were born with defines the type of person you are and everyone should be proud of their bodies. Here are 8 types of nose shapes and what it says about your personality. 1) Types of Noses: The Nubian nose. While the bridge of the nose is straight, the lower end of the nose points downwards. Like a branch laden with fruits, it draws your eyes towards the lips. People with this nose are known to be quite curious and expressive. They incline towards cautious optimism and are extremely interested in learning new things and having new experiences. Their humility is what sets them apart from the rest and the way they communicate their thoughts is nothing short of impressive. 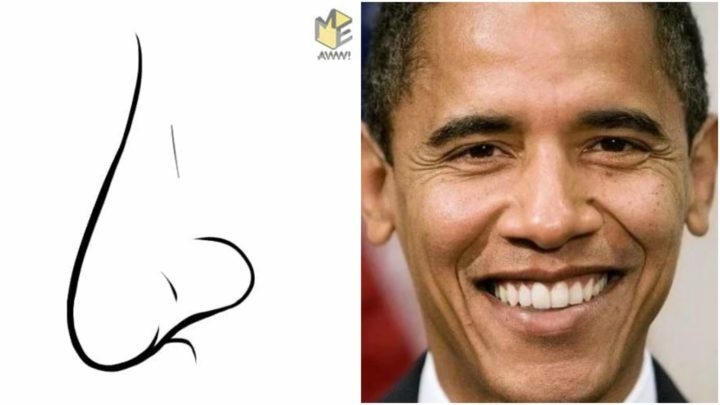 Some celebrities with a Nubian nose include former US President Barack Obama and Beyonce. The ancient Greek sculptures gave this nose its name. Narrow in length, this nose is characteristically straight and pointed. People with this nose are known to be prudent and extremely practical. Loyalty is another feature that defines the people with this nose but the one quality that is true to them is their sense of secrecy. They would rather die than let something, which isn’t supposed to, spill out of their mouth, making them one of the few people one could trust with secrets. Further, they would never open themselves to those who haven’t earned their trust. 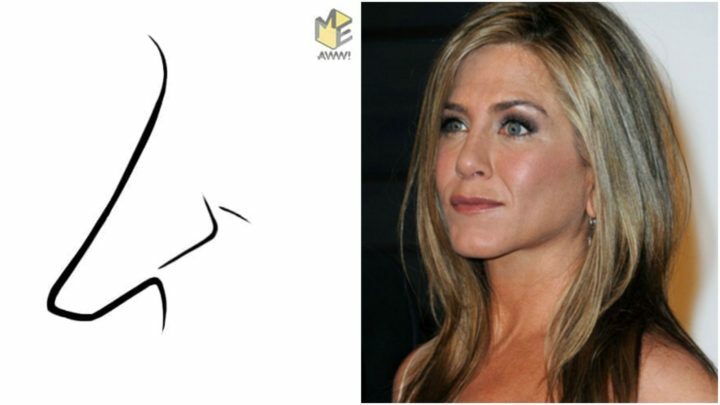 Some celebrities with a Greek nose include actress Jennifer Aniston and Arsenal captain Cesc Fabregas. Associated with a bird’s beak, the nose is bent downwards from the base of the nose bone to the tip. People with this nose are known to be opinionated, thoughtful and deep. They defend their views passionately and are unafraid of taking risks. But the quality that truly sets them apart is their self-sacrificing nature. Their thought and wisdom place them in a unique position where they are diplomatic, creative and yet self-effacing. 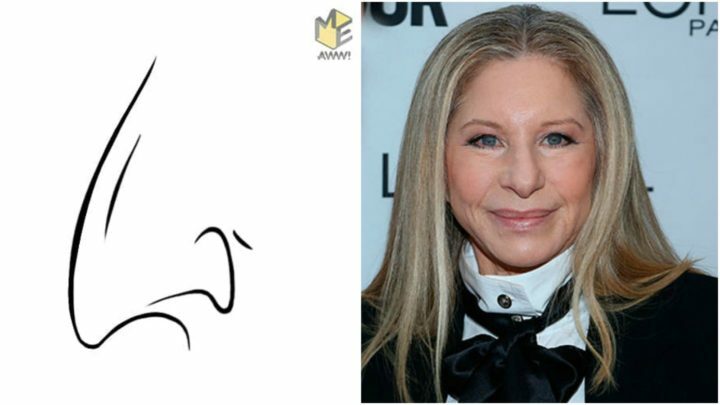 Some celebrities with a hook nose include actress Barbra Streisand and Prince Philip, Duke of Edinburgh. Curved from the nasal bone like the hooknose, it is different because it is noticeably pointed at the tip. People with this nose make extremely good managers. They are driven, efficient, organized but most of all, capable of leading by example. 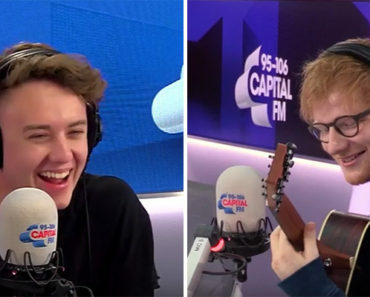 They are closely connected to their professions but care deeply about those they value in life. The one thing they detest is disloyalty and can rein hell if betrayed. 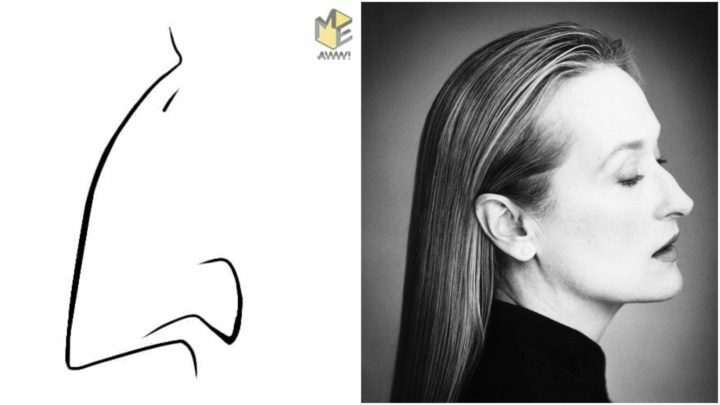 Some celebrities with an arched nose include actresses Meryl Streep and Julia Louis-Dreyfus. 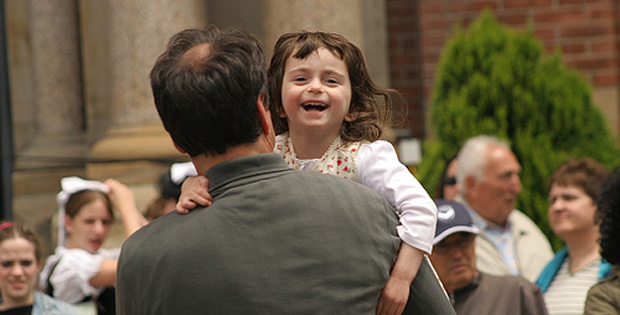 Short and dainty, it is one of the most common types of noses. Approximately 13% of the general population have the types of noses commonly called a button nose or celestial nose. But there’s nothing common about the people with this nose. Determined, strong-willed and spontaneous, they are usually involved in a lot of various activities. They are efficient and use their time with utmost planning and care. Their decisions are usually based on their gut feeling but they grow to trust which urge to pursue and which to leave. The result being; they often get what they want. 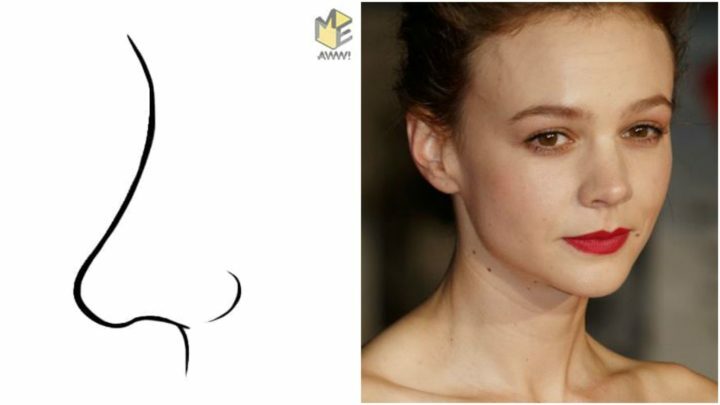 Some celebrities with a button nose include actress Carey Mulligan and English footballer Wayne Rooney. Wide nostrils with a round tip, this nose is straight and flatter than the rest. People with this nose are known to be in control of their emotions. They are good at reading emotions as well, making them good empaths. They are extremely patient and calm but they don’t appreciate unsolicited provocations. The only time they lose their temper is when they feel the safety of their loved ones threatened and in that case, they are known to personify the wrath of hell. 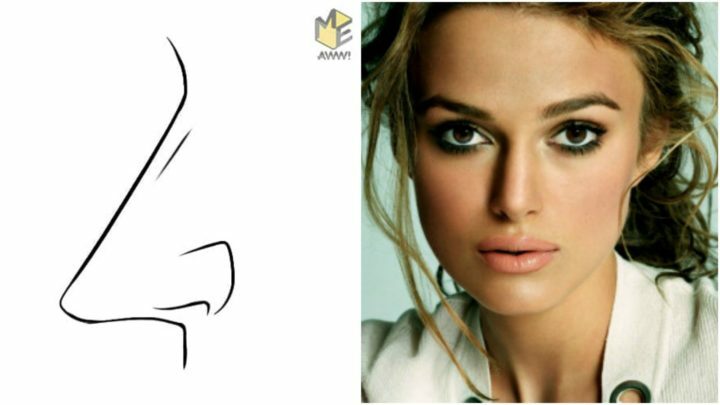 Some celebrities with a straight nose include actress Keira Knightley and recording artist Nicole Scherzinger. A definitive small arch on the nose bone, it looks petite and sharp with the tip pointing slightly outwards. People with this nose are on the sensitive side of life. They feel emotions deeply and feel hurt quite easily but they never reveal it. They are the kind of people who would bear a burden with a smile and yet be the first to help if asked. Altruism is the hallmark of people with this nose. 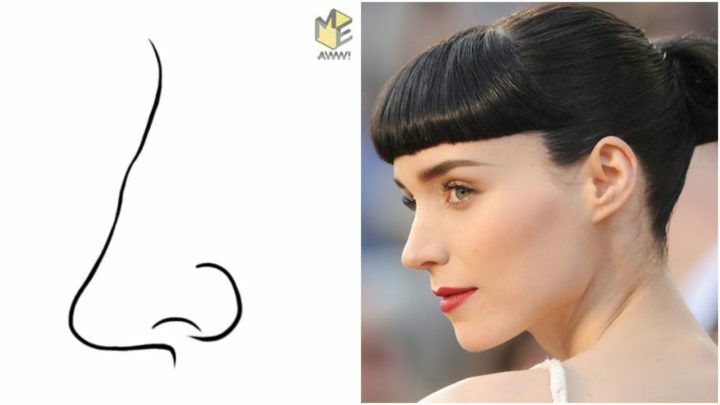 Some celebrities with a concave nose include actresses Rooney Mara and Samara Weaving. 8) Types of Noses: The crooked nose. Contrary to what the name suggests, people with crooked nose are known to be one of the most simple and straightforward of all. These types of noses may even appear broken but they provide an individual with character and may even become a famous quality about them. The bridge of the nose stands out while the tip is rounded. They are good listeners and observers and they are the kind of people who would rather understand than judge. 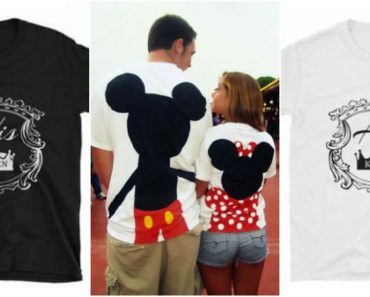 They, hence, are great friends and partners as they usually think carefully and cautiously before forming an opinion. 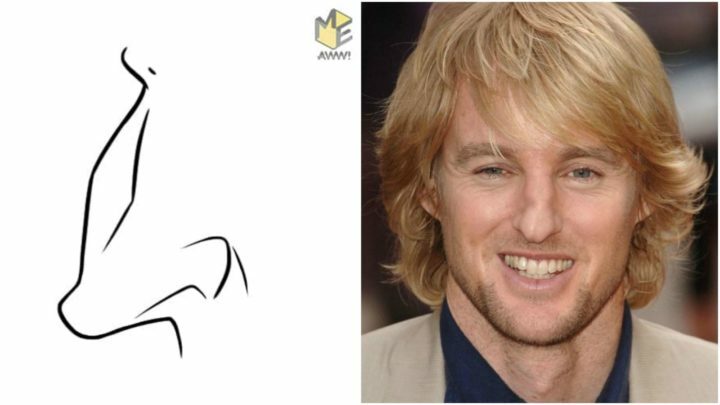 Some celebrities with a crooked nose but are prettier than ever include model Molly Sims and actor Owen Wilson. There are other things that can determine your what type of personality traits. In fact, even how you perceive colors can determine your personality. 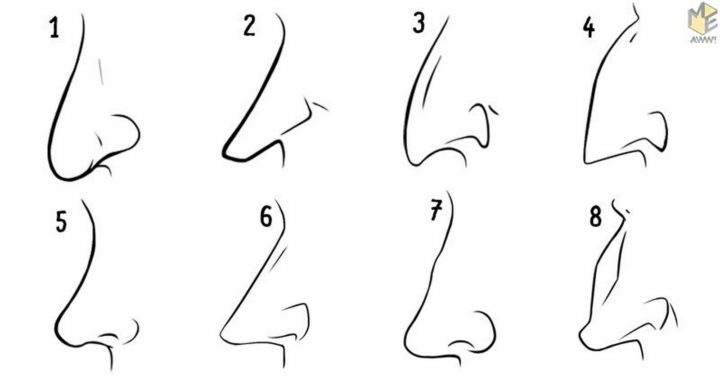 Please share these 8 types of noses and how the shape of your nose can determine your personality with your friends and family.